I was first introduced to DeLong by a good friend via Facebook. She posted a video of his on my page and said, “Check him out when he comes to L.A., you’ll dig it.” My response to her comment was, “Is that an Xbox controller in his hand?” Yes, it definitely was! I sat down with Robert shortly before his performance and spoke with him about said Xbox controller among other things. PPLA: So, here we are sitting next to two Nintendo Wii controllers. What’s the deal with these gaming controllers that seem to make their way into you music making? RD: It just kinda started when I saw that people were hacking these things. So, I started messing around with them myself, you know, Wii remotes, joy sticks, whatever and then over time I started playing shows. I tried to find ways that would make it more visually interesting. To me, its always been cool to try to re-appropriate old technology you have laying around to use it as a fun, novel performance element. PPLA: So you played lost of video games as a kid? RD: No, not really. A little bit but..
PPLA: Not even original Nintendo? RD: I never had one. My parents wouldn’t let me. PPLA: Well, maybe it was a good thing and led you to put your creative talents into this! RD: I was always into music. My dad was a drummer, so I was always writing songs and playing music from when I was a kid. Then, in junior high, I started recording stuff for my bands that I was in but at the same time I was doing my own music on the side and it just kinda grew. I didn’t even think about it. I was a computer nerd and it was just something to do, ya know? It was about high school when I started realizing that that was something I could do with my life. PPLA: What kind of music did you play in junior high with your bands? You played drums, right? RD: (Laughs) Yea, in junior high it was mostly pop/punk bands. RD: MxPx. NOFX. Strung Out. Then in high school I played in indie bands and jazz band. In college I got into more folk bands and was making electronic music at that point. PPLA: Wow. So you’re pretty well versed and have run the gamete of all musical genres and managed to integrate them all. RD: Yea, I guess I’m just ADD. I don’t know. PPLA: I feel like in this day and age, everyone has ADD to some degree (laughs). I noticed that you have this ‘X’ on all of your gear and on your face when you perform, what’s that about? 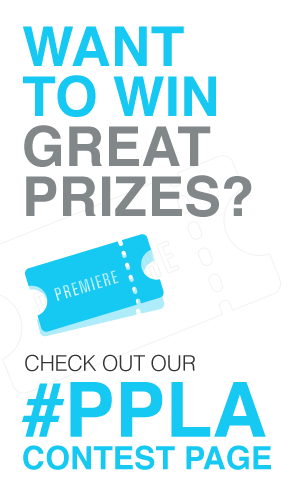 PPLA: You’re living in LA right now, correct? RD: I’ve been home a total of 12 days in the last 3 months. PPLA: Wow. You’ve been keeping crazy busy. What are your thoughts on the new Daft Punk album? RD: (Laughs) The new Daft Punk album.. I think the new album is interesting. I think it’s cool that they’ve branched out and did something different. Honestly, it’s not my favorite thing. PPLA: What is your favorite thing right now? RD: One thing I’ve been listening to a lot is, I always say this, Lucy; this artist from Germany. It’s hypnotic, techno, it’s just instrumental. It’s pretty repetitive and textural. It’s kinda weird. I mostly listen to that kind of stuff. I generally don’t listen to a lot of songwriter music, you know, the kind of music I make. I listen to a lot of chill out music, Boards of Canada, that kind of stuff. PPLA: Do you have any rituals you do before you perform? RD: I do vocal warm ups. I stretch. That’s about it. PPLA: What do you want people to know about you and your music, who’ve maybe never heard you before? RD: It’s an exciting, multi-genre, electronic exploration of stuff. PPLA: It definitely is. Any collabs you’d really love to do? PPLA: Cool. Do you have any last words you’d like to say? There you have it folks. The grease master himself will be keepin’ it greasy all over the world this summer. With tour dates in Miami, Kansas City, Chicago, San Francisco, Australia, South Africa, Germany, Belgium and Mexico. It’s going to be one crazy summer for Mr. DeLong. He’ll be playing sets at nearly every summer festival so make sure to pencil him in to your festy schedule! For more information on Robert DeLong and his upcoming tour dates check out Robertdelong.com.